Murrells Inlet is a quaint little fishing town rich with history. 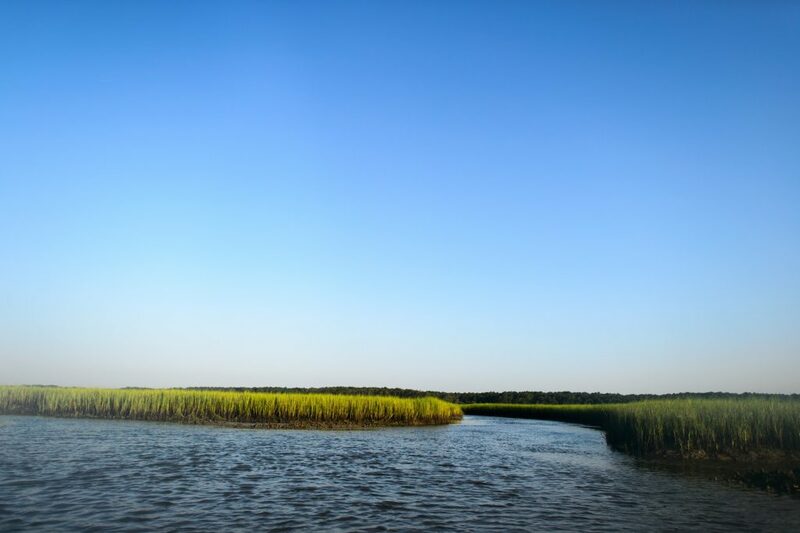 With the stunning marsh views and many seafood restaurants, Murrells Inlet is named the Seafood Capital of South Carolina. 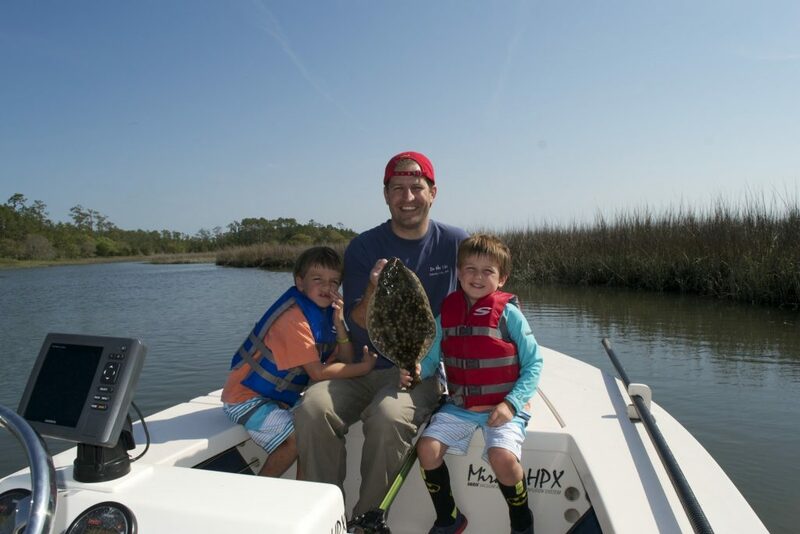 It’s a fantastic fishery that’s just a short drive south of Myrtle Beach. One of the things that makes Fishing Murrells Inlet great is how close the ocean is from the public boat landing. The inlet meets the Atlantic with rock jetties to the North and South. The North jetty can be accessed by boat by following the main channel out to the inlet. The South Jetty can be accessed by foot through Huntington Beach State Park. From the park simply walk or ride a bike up the beach North to the jetty. 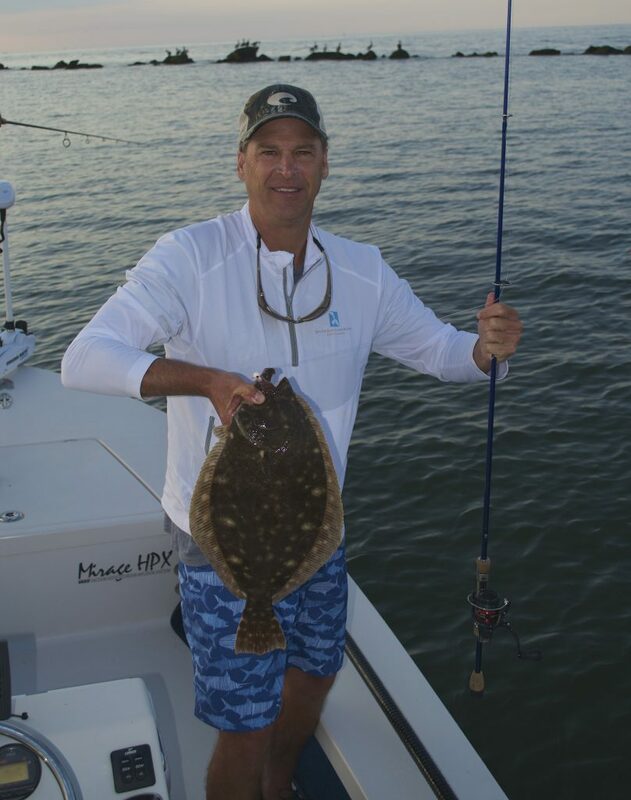 The jetty rocks provide excellent habitat for bait and game fish especially in the cooler months. The current and changing of the tides moves bait in and out, making the rocks prime fishing areas. 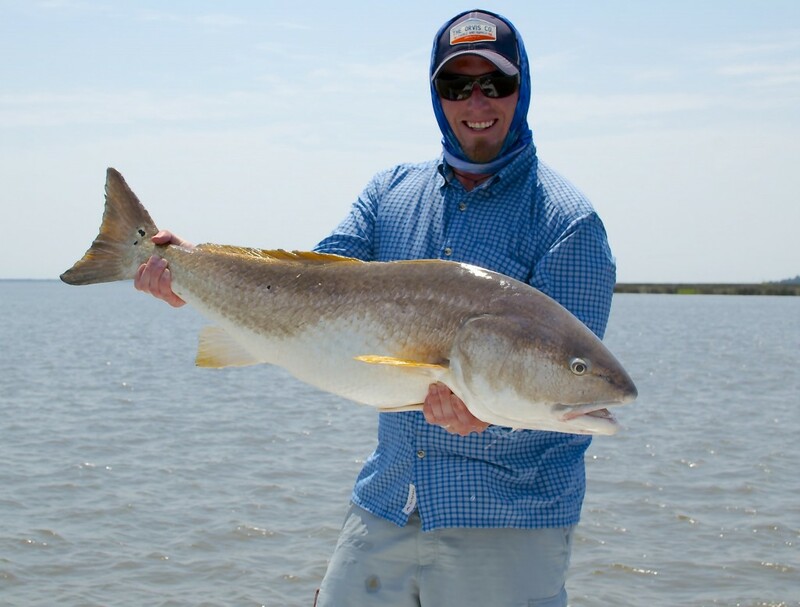 Red drum, Speckled Sea Trout, Spanish Mackerel, Flounder and more can be caught alongside the jetties using a variety of methods. Casting or trolling are most effective using cut or live bait. The best bait for fishing Murrells Inlet is live finger mullet. 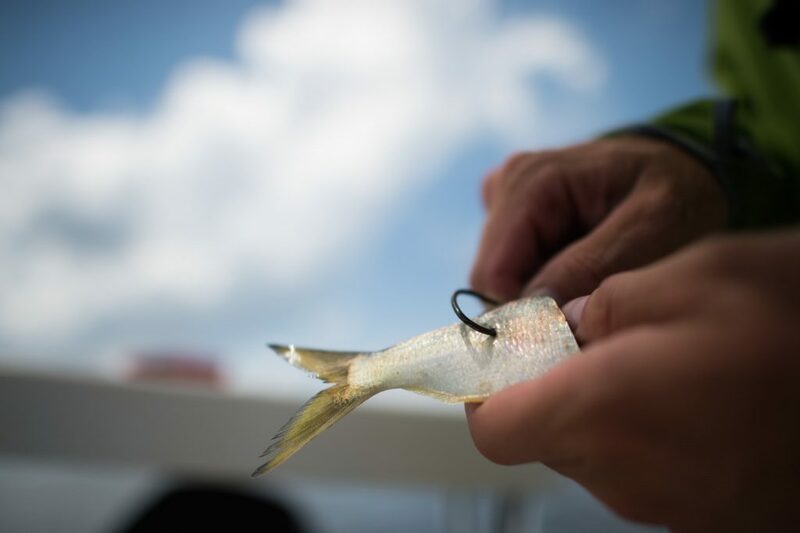 Finger mullet can be purchased at a bait and tackle shop or most days caught with a cast net along the beach or in nearby creeks. There are many nearshore reefs that are just a few miles from the inlet. Paradise Reef, also known as Three Mile Reef, is 2.8 miles from the inlet. Paradise Reef is a fantastic nearshore reef. The abundant structure and live bottom amid the ocean floor hold a variety of game fish including Cobia, King mackerel, Spade Fish, Flounder, Grey Trout and Sharks. 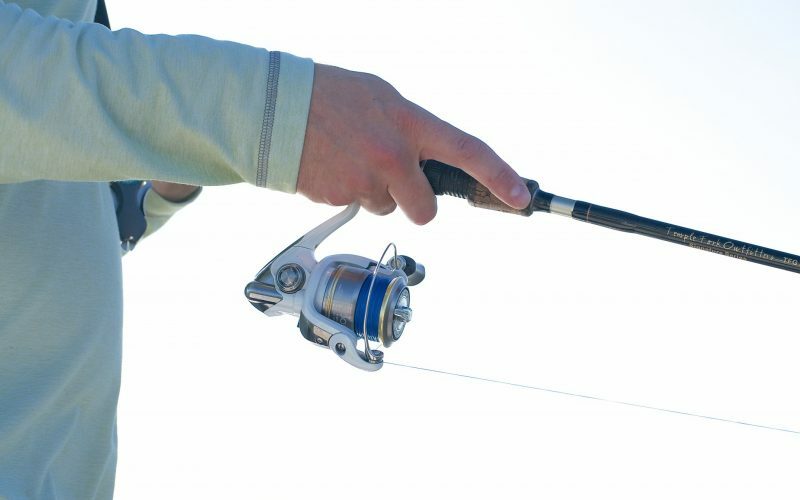 Many anglers slow troll or anchor on the reefs. I prefer to anchor and live chum with menhaden and finger mullet when fishing around the reefs. Just remember it’s important to pay attention to weather, tides and seasons in order to be successful.